You may have tried everything to help your skinny horse gain weight. Maybe you’ve increased their caloric intake and improved the quality of feed, but nothing seems to work. In such cases, it’s important to consider the possibility that your horse is not gaining weight because of some other issue. This is especially important when you’re dealing with an older horse, as senior horses are more susceptible to health issues. One of the most common health-related causes that prevent you from putting weight on a horse is dental discomfort. 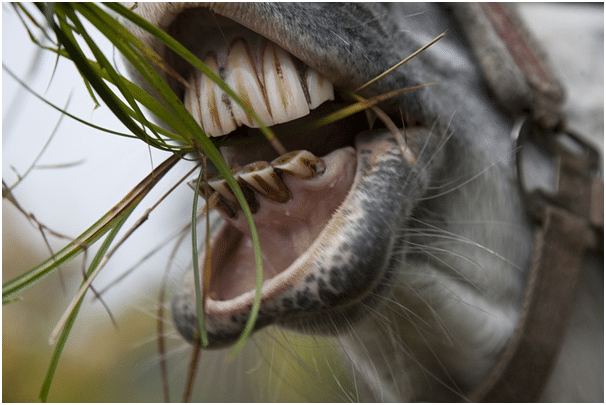 Maybe your horse is suffering from some dental problem that makes it difficult to chew food properly. And as a result, they could lose weight or have difficulty gaining weight. So it would be wise to consult your veterinarian for a thorough dental checkup to rule this problem out. Even if you’re feeding your horse adequate amounts of high-quality feed, it could still be experiencing weight loss due to issues such as systemic illness or parasitic loads. Putting weight on a horse can also be difficult if your horse has started to develop pituitary pars intermedia dysfunction, also known as PPID. This occurs as a result of tumor in the pituitary gland and can lead to loss of muscle mass. Older horses are susceptible to osteoarthritis, which can cause pain and in turn lead to weight loss. Pain makes it difficult for horses to move around and they may be less keen on walking to the feeding area in order to eat. Or maybe the horse is suffering from pain-related stress. All of this can prevent your horse from putting on weight. So it’s best to do a complete health checkup to rule out all of these health-related causes of weight loss. This will help you ensure that your horse’s weight loss is indeed a result of how it is fed and take necessary action. Once you’ve ruled out all of the health-related reasons your horse isn’t gaining weight, you can start working to increase calorie consumption. If your horse is eating properly and the quality of hay you’re feeding it is good, it might be best to start by increasing the hay intake. This would involve feeding them an extra meal. Ideally, good-quality hay would be hay that has lots of leaf and minimal stem. If this doesn’t work, you can also introduce alfalfa hay to your horse’s diet if it can safely eat it. This type of hay has a lot more calories per pound compared to grass hays. Try using alfalfa for 25% of the hay intake. Otherwise, you could also replace some portions of the hay ration with weight gain pellets, which are easier to digest and are great for senior horses. Simply increasing your horse’s hay intake may do wonders for their weight in most cases. However, you might need to resort to other options if you don’t see any improvement even after a couple of weeks. The easiest way you can increase your horse’s caloric intake is to introduce fats to their diet. Fats contain more calories per gram than proteins or carbohydrates, so you should likely see an improvement in their weight shortly after this. Start out by adding an ounce or two of corn oil to your horse’s feed to ensure that your horse would be willing to eat it. If there’s no problem, you can increase the amount gradually and use up to two cups of corn oil in one day. Horses generally prefer corn oil over other types of oil, but if your horse doesn’t like it you can try switching to a different variety such as vegetable oil. There are also other types of fat source you can use for putting weight on a horse. Rice bran and beet pulp are excellent options. Rice bran contains some starch in addition to being a good source of fat. You can either use the powdered variety or rice bran pellets, which can both be mixed to your horse’s grain. Beet pulp is rich in fiber that’s easy to ferment. However, it needs to be soaked thoroughly before feeding to horses as they can choke on it. And with senior horses having significant dental attrition, it may be much harder to chew and easier to choke when being fed beet pulp. So it might be best to avoid this option if you can use corn oil or rice bran. Although adding fats to your horse’s diet is necessary if you want your horse to gain weight, it’s easy to go overboard. And every horse owner knows that excessive fat intake is harmful for horses. It’s best to start with lower quantities and gradually work your way up over a few weeks. 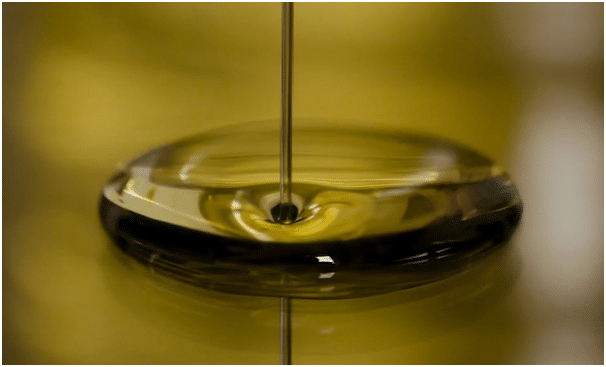 Avoid feeding more than two cups of oil a day at all cost. Once you’ve made these changes, you should have no trouble putting weight on a horse. Make sure you keep track of the process in which your horse is gaining weight and use a weight tape on a weekly basis. And even if your horse has had a thorough dental checkup, it’s important to schedule one at least every six months. Observe how your horse eats very carefully to ensure that it is indeed eating. In some cases, a horse may appear to be eating and chewing when it’s actually spitting out the hay it’s already chewed. If this is the case, you will need to use senior feed to provide your horse with the necessary nutrition. You can then add the oil to this feed to speed up the weight gain process. If you’d like to learn more about putting weight on a horse and caring for senior horses, feel free to contact us. I would have liked to see a more in depth article here. For instance, the type of feed is critical. For a hard keeper senior with dental issues, a soft, soakable, high fat, complete senior feed is best. Like Triple Crown Senior or Nutrena ProForce Senior. Also, if dental issues are part of the problem, as is usually the case with older horses, just increasing the hay or adding alfalfa hay alone won’t help if the horse can’t properly chew that hay. Adding extra meals of soaked hay cubes, hay pellets, and beet pulp is an excellent way to add weight and critical fiber to a senior’s diet. And feeding 3-6 soaked meals a day may be necessary. Only if these options don’t work should supplemental fat sources be added.